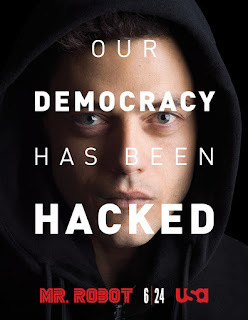 The first season of this year's Golden Globe-winning series Mr Robot ended with lead character Elliot coming to terms with the fact that he has some serious mental health issues. Clearly, fans can expect to see him fight his inner demons in season 2 — but there will also be some big twists, promises showrunner Sam Esmail. "There will be a lot more backstory that will be shown, the timeline will get a little clearer — not 100 percent clear, because where's the fun in that? But a little clearer... It really is about Elliott trying to reconcile what this means in seeing Mr. Robot. The series is filling in the blanks of the past and the present of this character... It's about a guy who becomes aware of this delusion he's been having," Esmail told Entertainment Weekly. The previous season showed that the character Mr. Robot was actually just part of Elliot's imagination. The reveal came as a surprise to the audience, disclosing that the series had been portraying Elliot's delusional perspective. The creator of "Mr. Robot," Sam Esmail, recently shared some interesting details about season 2. He explained that the upcoming season will focus on Elliot's journey to reconciliation. According to Entertainment Weekly, Esmail stated, "There will be a lot more backstory that will be shown, the timeline will get a little clearer - not 100 percent clear, because where's the fun in that? But a little clearer. It really is about Elliott trying to reconcile what this means in seeing Mr. Robot. The series is filling in the blanks of the past and the present of this character. It's about a guy who becomes aware of this delusion he's been having." With that, fans can expect a clearer storyline in the upcoming season. In addition, the season will also reveal more details about the several characters, which could provide some clarity to the audience. In addition, Esmail stated that the upcoming season will present a darker theme compared to the first one. It was also revealed that stars such as Rami Malek, Portia Doubleday, Carly Chaikin, and Martin Wallstrom will be returning to the show. Christian Slater, who played the role of Mr. Robot in the previous season, will also return next season. However, he will also be taking the role of Edward Alderson, Elliot's departed father. He recently won a Golden Globe award for Supporting Actor for his role in the series. When asked if fans can look forward to more big twists, the show runner — who will be directing all 10 episodes of season 2 — replied: "Probably. If I were a betting man, I would say yes." In another interview with Esquire, Esmail gave a slightly more detailed picture of the season 2 storyline. "Now that we are aware of his [mental health] issues, Elliot has to address them. What happens after that realization? What are the steps you take to negotiate with it, reconcile with it, fight with it? That's sort of where we're taking the second season." "Also, at the end of the first season we think that the mission is complete and that they were able to take down Evil Corp, but we see in the coda with that scene between White Rose and Philip Price that there are larger forces at play. As always," added the show runner. For fans who are curious to know what to expect about the show's next season, here are some of the things we've gathered so far. The cast and crew of the critically acclaimed show have started filming in New York. 2. There will be new additions to the cast. Rami Malek (Elliot), Christian Slater (Edward/Mr. Robot), Carly Chaikin (Darlene) and Portia Doubleday (Angela) will be joined by new additions to the cast. Craig Robinson has been cast to play Elliot's neighbor. The news of his casting comes a couple of days after it was announced that rapper Joey Bada$$ will join the show as Elliot's close friend, and Chris Conroy was cast as Joanna Wellicks' (Stephanie Corneliussen) lover. In February, it was announced that Grace Gummer will join the show as Dominique DiPierro, an FBI agent assigned to investigate the hack that was executed on Evil Corp's system. 3. Two old cast members were upped as series regulars. Corneliussen, who plays Tyrell Wellick's wife, and Michael Cristofer, who plays Evil Corp CEO Phillip Price, have been promoted as series regulars. Series creator Sam Esmail has kept a lot of the details about the plot from the public, but he did share that the upcoming season will focus more on Elliot's background, as well as his struggle to come to terms with knowing that he has a serious mental health problem. Esmail also said that the government and people from law enforcement will come into play in the new installment. 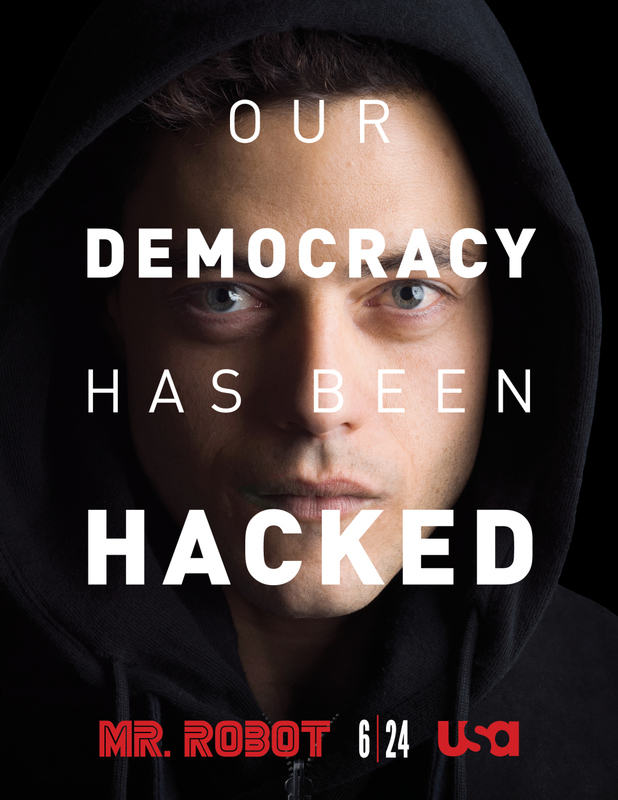 Mr Robot season 2 is rumored to premiere in June/July of 2016.